Hello Friends! How are you? This post should have been up hours ago but my computer had other ideas and did not want to recognize my iphone that I had my pictures on. After tons of google searches and messing around with my laptop I finally had to uninstall and reinstall Itunes and everything was working. So here I am. It’s a new year! I almost can’t believe it. I hope everyone had a nice time ringing it in or sleeping in to the new year. Little Man and I stayed up and played Minecraft and then at 11:30 we had cheesecake (recipe to follow) and watched the ball drop. After that we went for a walk around the block to see some of the fireworks and bang on pots and just make some random noise to welcome the new year. Do any of you have resolutions? I really don’t, I have never been much of a resolution maker. There are some things I am hoping for in this year. Some more sewing, getting some projects off the needles and really taking in the day-to-day more. I have realized how much just flies right by me and I don’t notice or take the time to enjoy it and really treasure it. 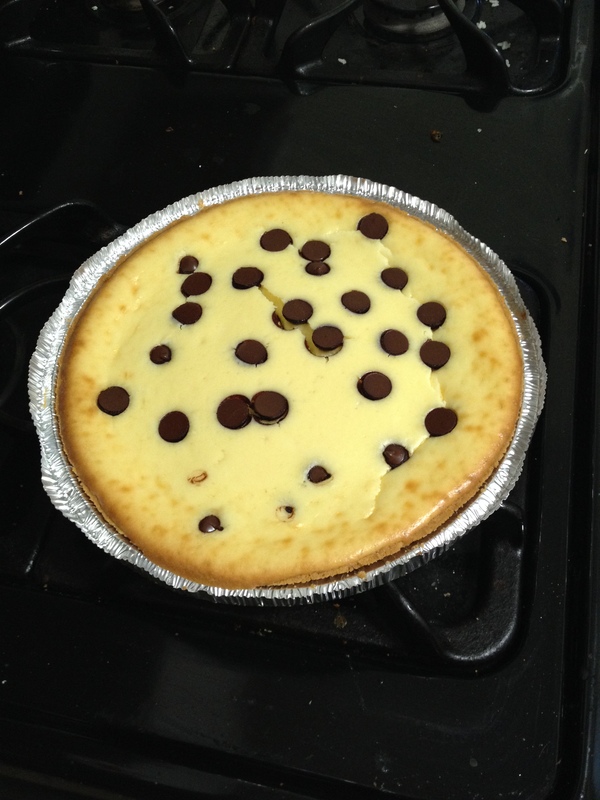 So Little Man and I decided last week that New Years Eve dessert would be Chocolate Chip Cheesecake. We were playing a game yesterday that he was training to be a Jedi Master. 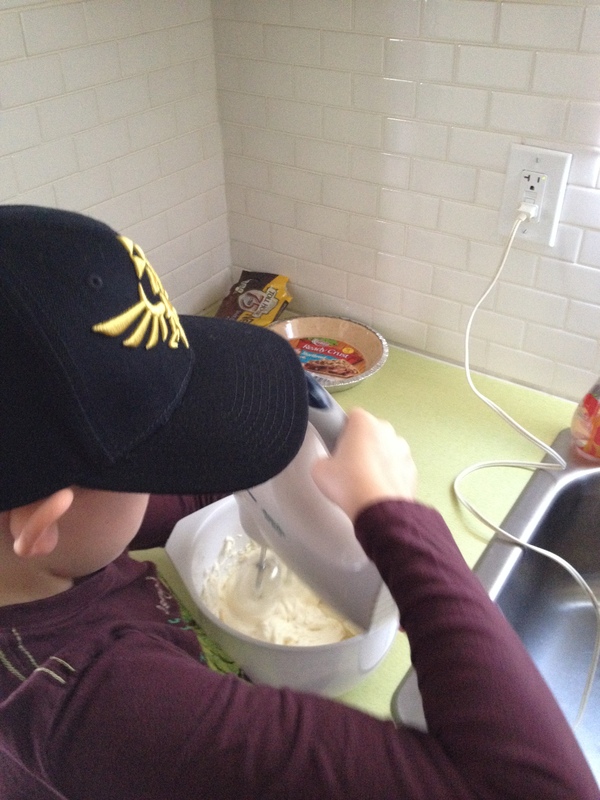 Along with the light saber training, I told him that to be a true master he had to do some cooking too. So he made bean dip and cheesecake with his master 😉 watching over him. So we got all our ingredients together. 1 crust, store-bought or homemade, ours was a store-bought shortbread crust. 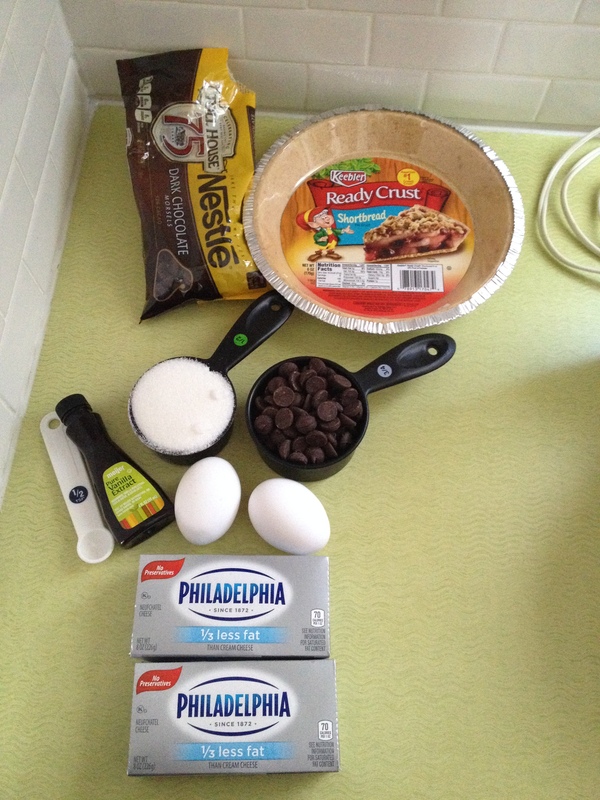 Really good, I normally do a graham cracker crust. 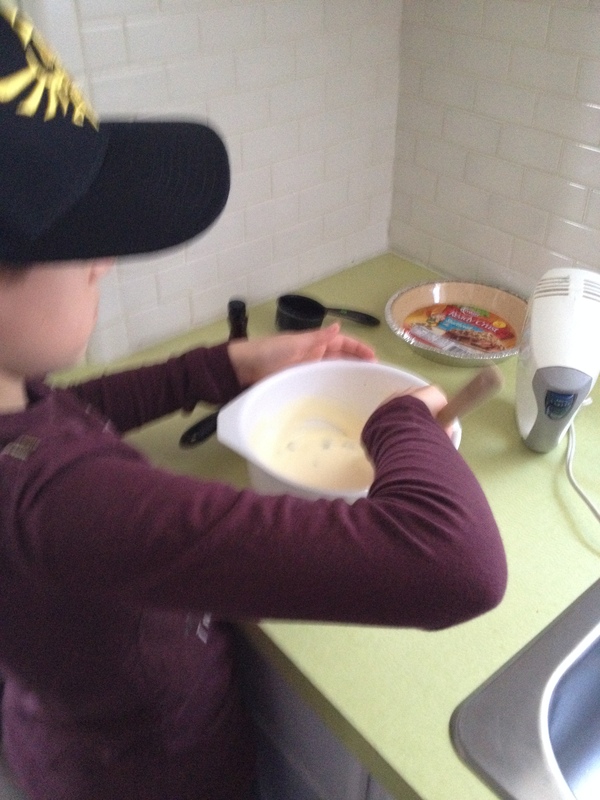 Preheat your over to 350 deg F.
In a mixing bowl add your cream cheese and sugar. Mix well. 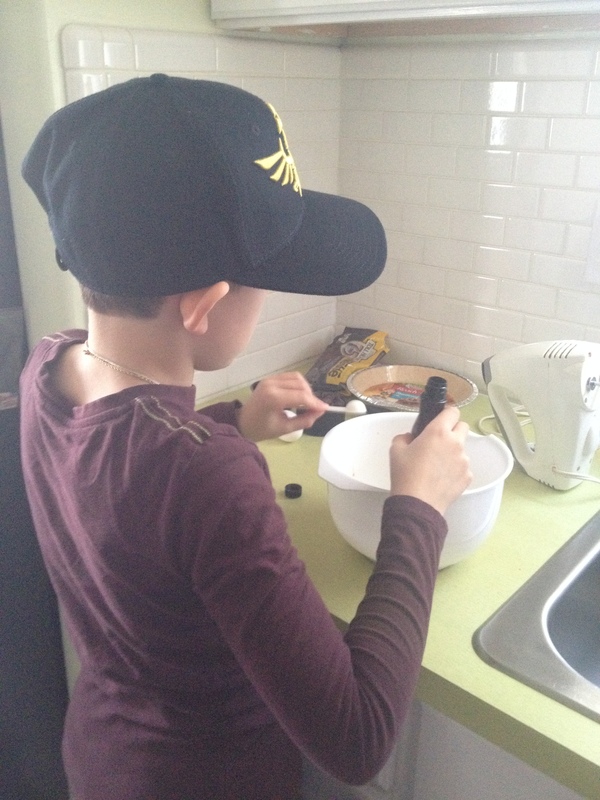 Then add your vanilla and mix. 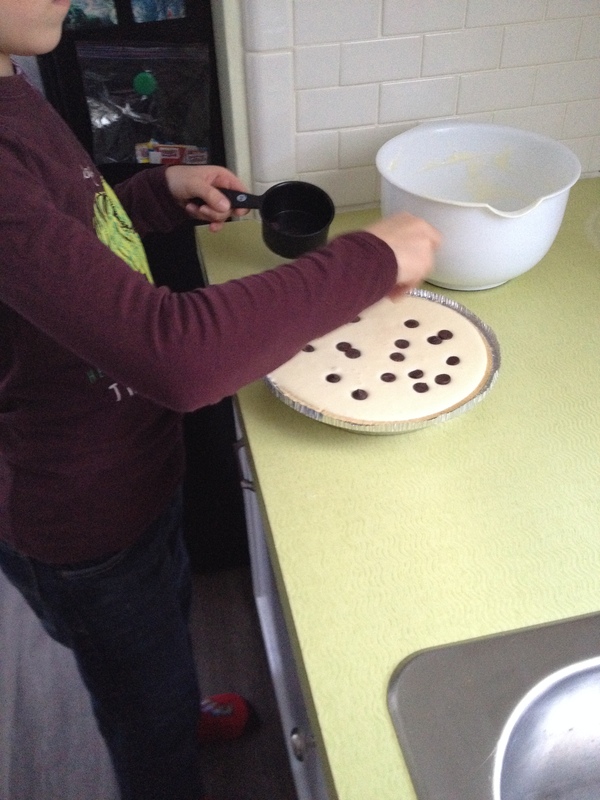 Then you will want to fold in almost all of the chocolate chips, save some to sprinkle on top. Recipe says to mix in a half a cup, I just eyeball it. 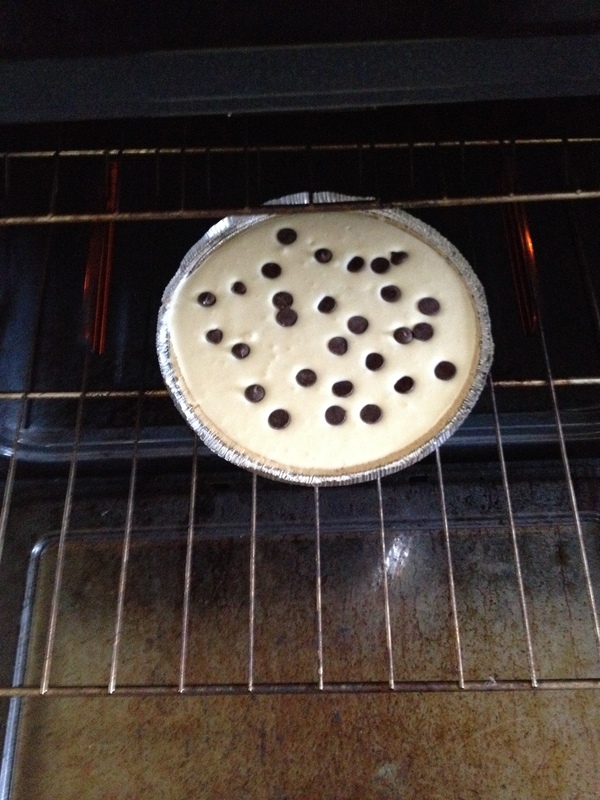 Pour the cheesecake mixture into your crust and add the chips on top. Then very carefully into the oven it will go. Bake for about 40 minutes depending on your oven. You want the middle to be set. I probably could have taken mine out a minute or two sooner as we got a crack in it. Then you let it cool for a bit before putting it in the fridge for about 3 hours or overnight. Here it is all settled and cool and so super yummy and delicious!! I haven’t made this in such a long time. It used to be one of my favorites. I always wanted my mom to make it for me for my birthday. Little Man did a great job and he was promoted to Jedi Master! I wish you all a Happy and Healthy 2015!!! 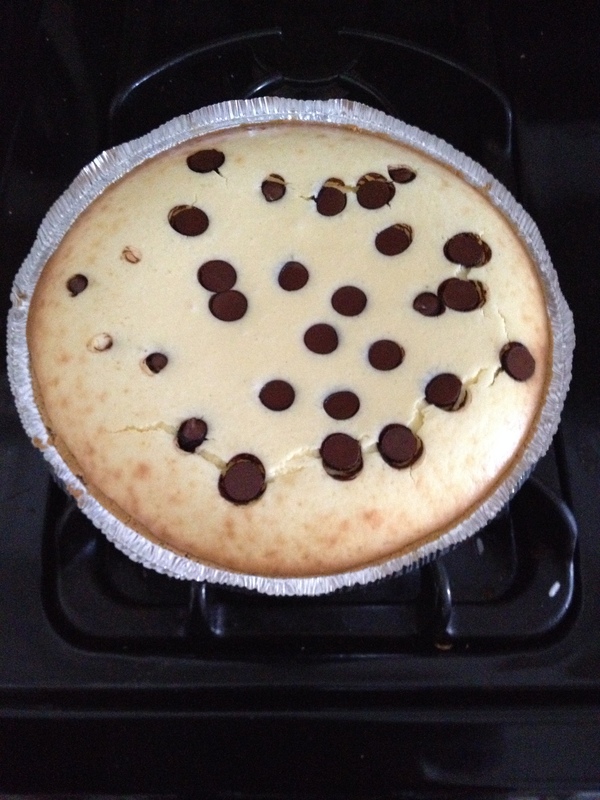 The cheesecake looks delicious, I haven't baked a cheesecake for a long time but my father made a great one for Christmas. 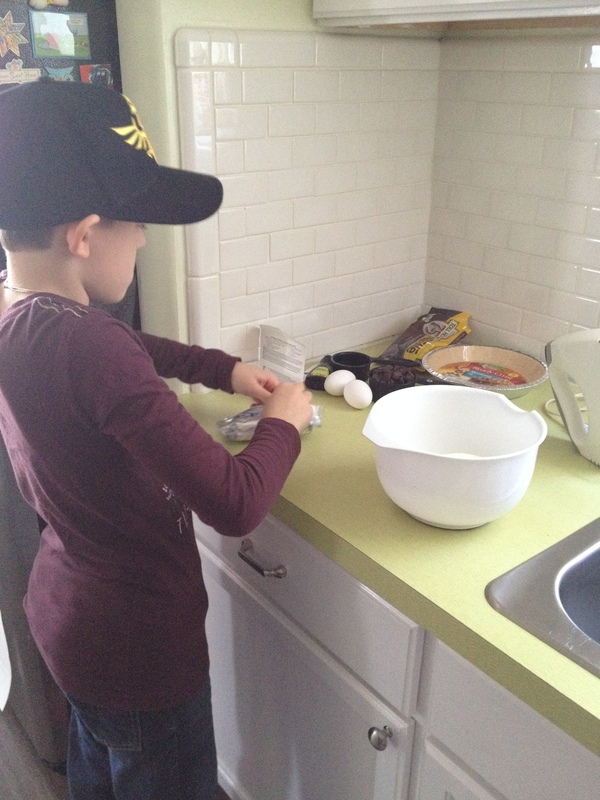 I must ask him to add chocolate chips next time!